Don’t Feel Like Cleaning? We’ve Got You Covered! Are you looking for a house cleaning company or maid service near Malvern, PA? A professional house cleaning service lets you spend more time relaxing or being with your family, rather than working on an endless list of chores. If this is your first time hiring a cleaner, then use these simple tips to get the most out of your experience. It’s spring time, which means it’s time to start seriously sprucing up your home. A spring cleaning isn’t like just any other type of cleaning. When it comes to this annual tradition, you need to reach every nook and cranny of the house. Spring cleaning requires the right strategy, materials, and execution. So get your rubber gloves and goggles ready, because it’s almost time to get thrown into the ring and start cleaning. Have you ever stopped and wondered why it’s so important to deep clean your home? Many people don’t have the time or the energy to deep clean their homes, but it’s a great idea to try and keep up on your cleaning so that it doesn’t become too hard to tackle later on. Maintaining a clean home doesn’t have to be difficult, but it does require a little bit of time management. At Busy Bee Cleaning Company, we take pride in helping homeowners get their homes clean and fresh, even when their lives are busy, and their schedules are full. One of the most obvious benefits of deep cleaning your home is the health factor. A dirty house that never gets dusted or vacuumed is one that harbors germs and dust. If you’ve got pets, then you’ll likely have even more grime to contend with, which makes deep cleaning even more important. 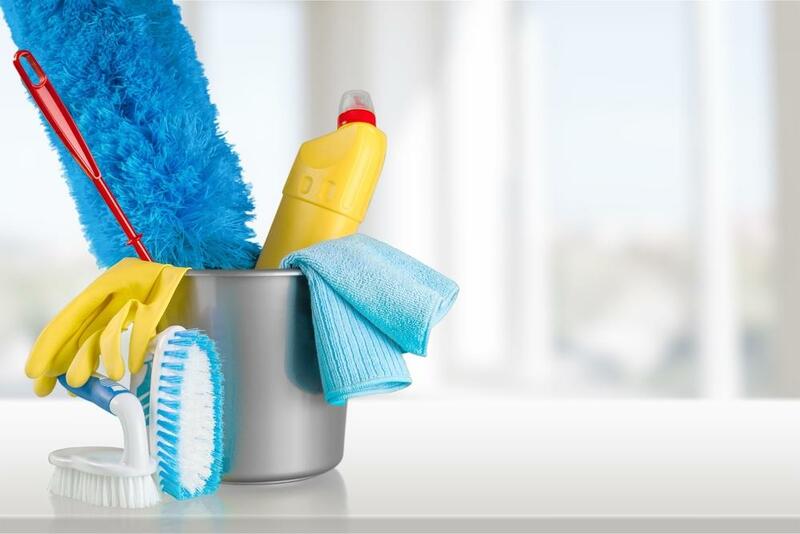 If you know that your house needs a good cleaning, and you need to find house cleaning services close to Newtown Square, PA, then call Busy Bee Cleaning Company. We can get something booked for you in no time. Allergies can also be aggravated in dirty homes, so it’s a good idea to have a deep cleaning performed a few times each year. Another benefit to deep cleaning a home is increased organization. A disordered, cluttered home makes it hard to concentrate on both daily tasks and future projects. A messy home lays the foundation for a scattered mind and it can also cause increased stress levels. If you want to get organized and relaxed, then call on Busy Bee Cleaning Company. We’re available for those who want to get their homes looking and feeling great with a deep cleaning. If you need a maid service close to Kennett Square, PA, Busy Bee Cleaning Company is ready to help. Busy Bee Cleaning Company is always available for deep cleaning. If your home needs dusting, vacuuming, sweeping, and mopping, we can make it happen. Deep cleaning your home will provide you with the peace of mind that you need to be productive and it will also keep your space free from bacteria and allergens. After all, a clean home is a happy home, and at Busy Bee Cleaning Company, we always work hard to exceed customer expectations with our quality cleaning services! For over 20 years, Busy Bee Cleaning Company has sent our valued clients nothing but the best staff to clean and sanitize their homes. When our employees cross your threshold, we guarantee that every surface in your home will be cleaned to perfection and we’ll do it with a smile. Busy Bee Cleaning specialists are no ordinary maids; they are professionals trained in the science of home cleaning. In fact, use our house cleaners near Downingtown, PA for your next residential cleaning and you’ll see how! Finding the time and the energy required to keep a clean home can be challenging. Many people have busy schedules which prevent them from having extra hours to clean their homes as often as they’d like. If you want to get your home clean, but don’t want to spend time doing it, consider hiring Busy Bee Cleaning Company as your cleaning service. Our team understands that every home or business has its own requirements for a professional cleaning service. In fact, we’ve even got three benefits of hiring us as your cleaning service. Have you been thinking about hiring a house cleaning company but not sure where to start? Many people lead busy lives and simply don’t have the time for house cleaning. This is where a professional cleaning company can make life a lot easier. At Busy Bee Cleaning Company, we take pride in offering the best house cleaning services around. Whether your home needs a quick clean or whether it needs a deep clean, Busy Bee Cleaning Company can assist. All homes need a deep cleaning at least once or twice a year. Deep cleaning a home helps reach the areas that might be missed in a regular cleaning. It also helps reduce allergens and minimize clutter. Getting ready for the holiday season? While it might seem like it’s far away, winter is right around the corner and now is the time to start thinking about how to get your home prepared for the upcoming holiday season. Prepping for guests can be hectic and stressful, but with these five tips from Busy Bee Cleaning Company, your home will be sparkling clean just in time for that holiday party you’ve always wanted. As we all know, the first space that people see when coming to your home is the entryway. Hanging a decorative wreath with berries or stringing some lights across the doorway are all quick and simple ways to get your entryway spruced up for guests. Sweep any cobwebs and dust that may have accumulated since fall, and throw down a new doormat if you can. Also, clean any glass that you might have on your front door, too. Nothing smells better in a home than some fresh cut lavender and chamomile. Herbs are an inexpensive and non-toxic way to freshen up your home for the holiday season. If you don’t have access to fresh herbs, you can use essential oils, too. Get a spray bottle and fill it with about twenty drops of lavender essential oil, and a teaspoon of vodka. Fill the rest with water and then spray to your heart’s content. Lavender is a great stress-reducer. It also helps with relaxation. If you have dried herbs and baking soda, you can grind both and make a great non-toxic vacuum powder. Other great holiday essential oils to try out include peppermint, pine, and fir. If you have a dishwasher, make sure that you load the dishes the night before and then unload them as soon as you get up in the morning. If you don’t have a dishwasher, simply hand wash your dishes and then set them on a drying rack to dry overnight. If you need help preparing for your next holiday party, why not call Busy Bee Cleaning Company? We can help you with residential cleaning services in Newtown Square, PA so that you’re as ready as ever for guests. For many people, the couch is a central piece of furniture in the home. Because of this, it can get really dirty. Pull off the pillows and vacuum underneath, making sure to get down in any crevices that could be harboring crumbs or, if you’re lucky, money. Next, add some alcohol to a spray bottle with a little water and spot clean any areas that have nasty stains or scuffs. Paper is a big clutter producer in many homes. To prepare for your holiday season, you should first sort through your mail. Find a box to put only the important papers in and then toss the rest. You want to make sure that the papers don’t take over your home, which often happens. This holiday season, remember that Busy Bee Cleaning Company is available for house cleaning services near Devon, PA if you need us. We’re always ready to help you get set for the holidays. Call (610) 624-1650 or click below! Request An Estimate Online!